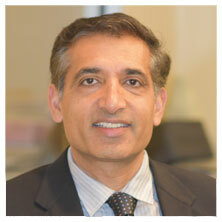 Dr. Farooq Ashraf was recently named the best LASIK surgeon in Atlanta by the national top ten site. (ATLANTA, GA) M. Farooq Ashraf, MD, FACS, a board-certified ophthalmologist and medical director of the Atlanta Vision Institute, has been named one of the top LASIK surgeons in Atlanta by America Top 10, a website which ranks consumer services. Dr. Ashraf’s profile listing cites his thousands of personally-performed LASIK surgeries and extensive experience with the excimer laser as his distinguishing qualities that make him, according to America Top 10, one of the 10 best LASIK surgeons in the Atlanta metro area. As the founder of the Atlanta Vision Institute in Georgia and the Atlanta Vision Clinic in Dubai, Dr. Ashraf has dedicated his career to refractive surgery. He was one of the first physicians in both the United States and the United Arab Emirates to offer LASIK laser correction surgery and has personally performed over 40,000 LASIK procedures between his two vision clinics. Dr. Ashraf has over 25 years of professional experience, obtaining his medical degree from the Medical College of Ohio in 1991, and his advanced training in corneal and refractive surgery from Wilmer Eye Institute at Johns Hopkins University. Exactly how does America Top 10 work? The website provides lists of the Top 10 businesses and professionals in specific industries, categorized by city and state, with basic information about each person or company listed. The Top 10 lists—like the Top 10 LASIK Surgeons in Atlanta, for example—are compiled and rated by the curator and founder of the site, along with members of the site’s online community. Doctors are selected based on their educational background, work ethic and participation in continuing education, as well as their involvement in local, national and international associations. America Top 10 also completes exhaustive research on doctor performance and patient satisfaction before compiling its final lists. In addition to lists of “Top 10 LASIK Surgeons” for major American cities, Americatop10.com also makes “top 10” recommendations for other types of medical services (e.g., chiropractors, dentists, orthopedic surgeons, pediatricians, plastic surgeons), business services (e.g., accountants, insurance adjusters, real estate agents), household services (e.g., electricians, plumbers, roofing contractors), restaurants (e.g., bakeries, BBQ places, burgers, Chinese restaurants, and Mexican restaurants), and retail businesses (e.g., jewelry, flooring and furniture stores). 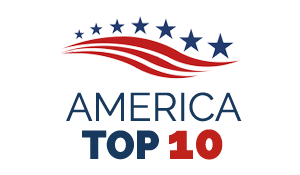 The America Top 10 website was established in 2011 and is growing quickly. The curators of the site are continually seeking to add new categories and locations, and are always striving to keep their lists updated based on the experiences of actual customers (who share their personal evaluations of the companies they do business with). The result is some of the most current reviews available online for a wide variety of consumer services. For more information about LASIK eye surgery or to schedule a complimentary consultation with Dr. Ashraf, please call the Atlanta Vision Institute at (770) 622-2488. Or, fill out the online request form.